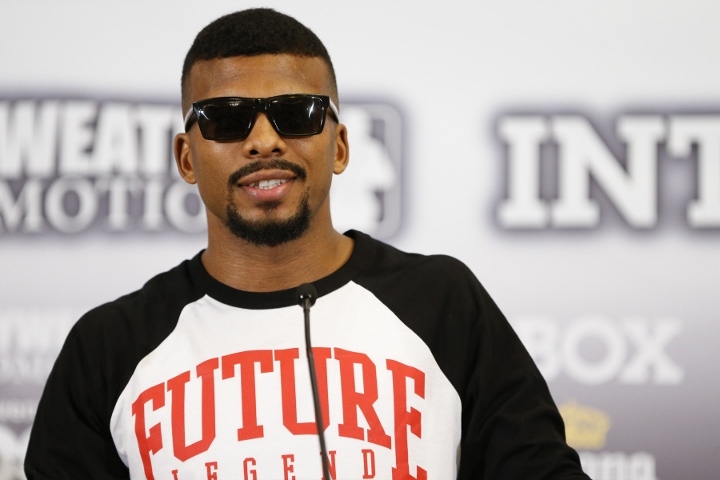 WBC super middleweight champion Badou Jack (20-1-2, 12KOs) is already looking at the next chapter of his career. Jack has been a career super middleweight since turning pro in 2009. He captured the WBC title last year with a twelve round decision over Anthony Dirrell. A recent controversial draw with former IBF champion Lucian Bute will likely end up becoming a no-contest after the Canadian superstar tested positive for a banned substance in a post-fight drug test. Next up is a fall unification with current IBF world champion James DeGale (23-1, 14KOs), who is also an Olympic gold medal winner. Jack admits the fight could be final outing for him, before he moves up to the light heavyweight limit of 175-pounds. "I don’t know how long I’m gonna stay at super middleweight, it might just be one or two more fights, but we’ll see," Jack said to On The Ropes Radio. Jack believes he will do very well at the weight and views Andre Ward and light heavyweight king Sergey Kovalev as the best fighters at light heavyweight, with Adonis Stevenson as the third man in the pecking order. If all goes as planned, Ward and Kovalev will collide in a high profile pay-per-view fight in the fall. Stevenson will defend his title next month against Thomas Williams Jr.
"I believe in myself, so if I come up, I believe in myself. As of right now, I think Andre Ward and Sergey Kovalev. Kovalev already proved himself at light heavyweight. I like Andre Ward, he’s a very good fighter, so he’s just gotta prove himself. If Ward beats Kovalev, then he’s the number one guy. As of right now, Kovalev is the main guy. You can’t forget Adonis Stevenson as well, but Ward and Kovalev are better than him but he’s also a very good fighter," Jack said.